You think you want to have a conservatory? What would it be used for? Is it an extra living room to be used all year round or maybe for evening meals in the summer? It can be used for breakfasts on lazy weekends. If there is no real choice about where it would go, when is it going to get the sun? Once it has been decided that a conservatory, or maybe a garden room or orangery will be a great addition to your home, there are a few not so glamorous decisions to be made. Before you start looking at possible decisions, work out the budget and how it will be financed. There is no point in planning to have some extension which is way beyond your finances. Then decide how much of the planning you want to be involved with. Are you going to find out if planning permission is needed and apply for it or do you want to employ the services of a company to do this? A company should also ensure that Building Regulations are complied with and that you have the required documentation to show this. Many companies who provide conservatory UK will offer a full service from initial design to construction and also including getting all the necessary permissions. The size of the conservatory is important. It needs to be big enough to be used in the way that it is planned, but remember that this amount of space will be lost from the garden. If the garden is huge this may not be of any significance, but with a garden of more modest proportions, then the decision may end up being a compromise. 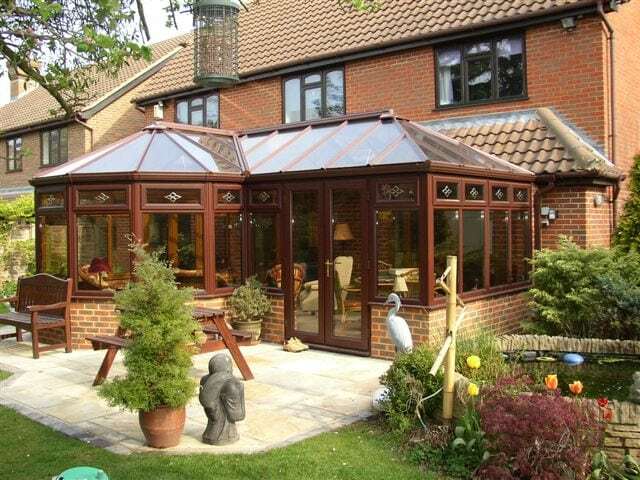 There is a huge range of designs for conservatories, including both traditional and contemporary. It should complement the original building, but that doesn’t necessarily mean that it has to be from the same era. For example, an old stone or brick house could look great with a modern aluminium extension with large windows. This can create a space that is very light and airy and if there are large sliding doors, on warm days it will seem as though the house and garden have merged. Traditional conservatories are another possibility and many companies will design to your own specifications. You may be inspired by a conservatory from an old photograph or from another property of similar age and design to your own. At the design stage consider other factors such as lighting and shades. This is much easier than waiting until after the conservatory is built. Choosing the final size and design is important and should not be rushed. This extra room can make a fantastic addition to your home and so needs to be chosen with care. Look at conservatory UK to see what is available and what designs you really love.